The statue of Unity is a statue of Sardar Vallabhai Patel, Iron Man of India. He is Gujarat based down-to-earth person who born in 1875 in the Narmada District of Gujarat. To honor his value, hard work, intelligence, and uncompromising effort that he contributed to our country, the Government of Gujarat constructed the world’s largest statue, with a height of about 182 meters. The statue appears as if he is walking on the Narmada Dam towards the city of Vadodara. The statue and the support surround him occupies more than 2 hectares. There is an artificial lake built around 12 square kilometers. Narendra Modi has inaugurated the statue of unity in Gujarat. It is built in dedication to Sardar Vallabhai Patel, who is popularly known as the Iron Man of India. Sardar Vallabhai Patel is coined as Patel, who served as the home minister of India. The statue of unity was inaugurated on his birthday anniversary and its open to the public from November 3. The statue was built around Sadly Bet Island near Rajpipala on the Narmada River. Interestingly, the statue is located between the Vindhya Mountains and Satpura. There is a smooth highway that connects the Gujarat town to the Statue, thus makes it easy for anyone to visit and get the divine grace of Patel. Being the world’s largest statue, it was built in just 33 months. Although it was inaugurated during a gala function on his birthday anniversary, the foundation stone was laid on 31st October 2013. Since then, the state government has contributed a lot for completing this project. Sardhar vallabhai Patel is a famous politician who contributes a lot to our country. As a political activist, Patel played an important role in bringing Independence to our country. He was influenced by the principle of Gandhi’s thoughts and principles. He was responsible for integrating 500 states in the Indian Union. His contribution to the integration of the states gave him the opportunity to become the first Home Minister of India. His uncompromising efforts & contribution earned his title “Iron Man of India’. One of the interesting things is that the statue of Vallabhai Patel is twice the height of the Statue of Liberty in New york. Another interesting fact is that the statue of unity becomes the first statue to be completed in a very short time. Yes, It takes 33 months to complete the statue of Patel while the largest China’s spring temple took 11 years. 1. The statue of unity was built by Larsen & Toubro Ltd. The state government has spent around 2,989 crores for completing this project. The statue is a great blend of bronze and cement. It is made of 1700 tonnes of bronze. The statue has been filled with concrete cement of 180,000 cubic meters and structured steel of 6,500 tonnes. Yes, the statue is not just the stones & cement but symbolizes the effort and hard work he contributed to our country. 2. The world’s largest statue is 100 times larger than a person who is 5.6 feet tall. That much height Gujarat hold the statue. 3. To get you to the chest of the Vallabhai Patel’s statue, it has high-speed elevators with which you can enjoy the top view without hassle. The two high-speed elevators can accommodate at least 200 tourists at a time. 4. To add a touch of tourism over the city, the government takes a step to create tourist ecosystem, which comes with the museum, hotel, and audiovisual gallery. 5. The statue is strong, sturdy and reliable. The statue of unity is designed in such a way that it can withstand winds of 180km/hr. Further, it can withstand earthquakes of 6.5 Richter scale. Anyone can easily reach the place where the statue is built. There is a designer bridge that connects Sadhu island to the city. So, one can enjoy the boat ride. 6. The RCC towers are there at the bottom of Patel’s leg. It has two lifts and each can carry 20 people to the chest of the statue in just a minute. 7. Since Gujarat is becoming the popular tourist city, the Gujarat Government is building 3.5 km long straight road to reach the statue of unity from the kevadia town. 8. Whether you are a seasoned photographer or selfie lovers, shooting photographs at the statue will be easy and hassle-free. 9. As Sardar Vallabhai Patel is coined as Iron Man of India, the government has tried to collect around 135 metric tones of pure iron all across the country. 10. The statue was designed by V. sutar, a famous sculpture belongs to Noida. 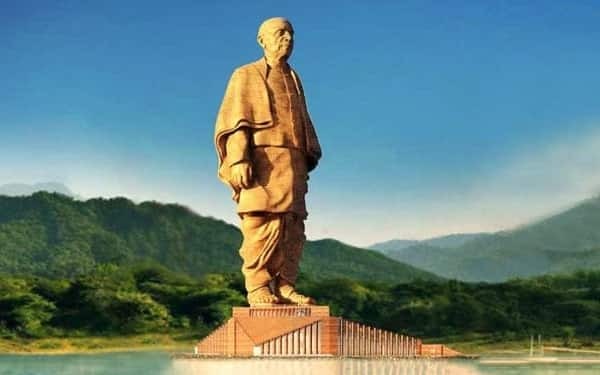 While designing the statue he had great attention to make sure that the statue of unity matches Patel’s face. The statue has built in such a way that the Iron Man of India is walking on Water near the Sardar Sarovar Dam. The project was handled by the Tuner Construction and the Meinhardt Group. It took almost 56 months to finish 15 months of planning, then it took 40 months to implement the plan. The estimated cost of the project is around 20. 63 billion. The phase was started during October 2013 when Narendra Modi serving as Chief Minister of Gujarat. The Larsen & Toubro accepts the contract on 27th October 2014. This infrastructure giant won the great project for its lowest bid of 420 Million dollars. On implementing this project, Narendra Modi has laid the foundation stone on 31st October 2013, 138th anniversary of Patel’s birth. Larsen & Toubro took the responsibility for the entire process from design to construction to maintenance. The construction commenced on 31st October 2014. For constructing the main statue, 13.47 billion rupees were spent while 2.35 billion were spent on constructing the convention center and exhibition hall. On the other hand, the state government has spent 830 Million dollars on constructing the bridge that connects the statue to the Mainland. The construction is over and the state government has contributed 6.57 billion for the maintenance of statue for 15 years. The Indian infrastructure tech had employed over 250 engineers and 3000 workers for the construction. The exterior is made of 1700 tonnes of bronze plates & 1850 tonnes of bronze cladding, which is considered as 6000 micro panels. The construction was completed in October 2018 and the inauguration was started on 31st October 2018. On 7th October 2010, the project was announced. Later the Gujarat Government established the Sardar Vallabhai Patel Rashtriya Ekta Trust for implementing the statue. The statue of Unity Movement was started to support the construction of the Statue. This movement helped to collect the iron required for the statue. 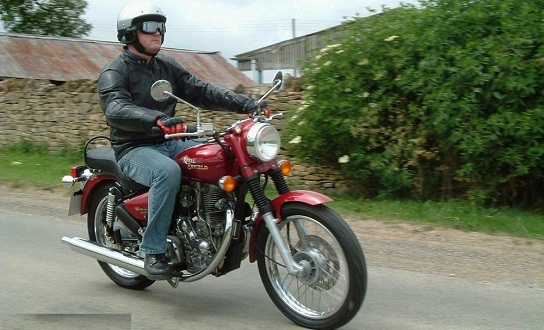 Sad Facts of Bullet Bike Owners – Ride it or Not?